We Drink Your Milkshake! 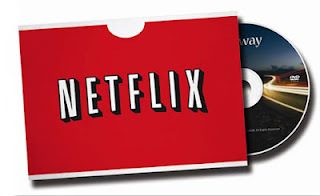 : Netflix Instant TV and Movie Picks: Life Affirming Movies Edition! 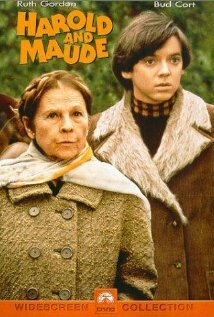 Hal Ashby's dark comedy from 1971, HAROLD AND MAUDE follows the strange relationship between two unlikely people. Harold is a young man obsessed with death while Maude is an older, free spirit with a carefree attitude towards life. Only through their relationship does Harold begin to understand the truth of life and that being obsessed with death isn't all it's cracked up to be. 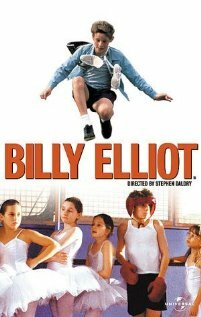 A small Irish film that made a big splash over in America, BILLY ELLIOT proves that you're never too young to discover your passion and what you're meant to live for. As a young boy expected to make his family proud by learning to box, Billy discovers he has the talent and drive for dancing. This film is sweet, heartwarming, and encouraging to everyone to follow their dreams even if your family is against you. 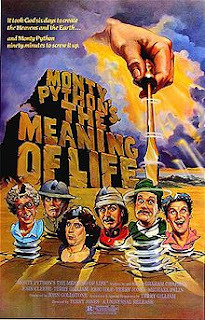 And what finally, what could help you affirm your life more than having Monty Python tell you what the meaning is. Even if British humor isn't your cup of tea, this film breaks down life into sections everyone can relate to including Growth and Learning, Middle Age, and Death. You'll find enlightenment coupled with many giggles in this zany film. That's it for me this week. From all of us here at We Drink Your Milkshake, have a fabulous weekend and may your eggnog (spiked or otherwise) be plentiful next week!